SynAudCon will host and produce a seminar, titled “Making Wireless Work” in Newark, NJ on September 12–13, 2016. The seminar will educate and entertain guests while covering core principles of wireless networking and ways to make wireless devices work in an ever-decreasing available spectrum (FCC UHF Auction 2016). The two-day event will include well known guest speakers and industry leaders. 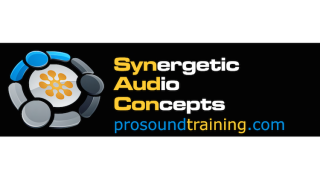 “There are a number of challenges facing audio practitioners today,” said Pat Brown, owner of SynAudCon. “We hope to enlighten our guests and educate them so they can be more valuable in their area of expertise.” The seminar will satisfy 16 CE renewal units for audio professionals who complete the two-day event. Among those on the guest list include James Stoffo (Radio Active Designs), Karl Winkler (Lectrosonics), Tim Vear (Shure), and Eric Reese (Sennheiser). These industry leaders will share knowledge on wireless audio products, and the challenges of ever-decreasing bandwidth. Topics to be covered include wireless microphone technology, RF band-based technology, frequency coordination, band planning, RF fundamentals, FCC/spectrum allocation issues, and site survey commissioning projects. Prospective attendees are encouraged to sign up early. Preliminary estimates reveal this being a sold-out event.